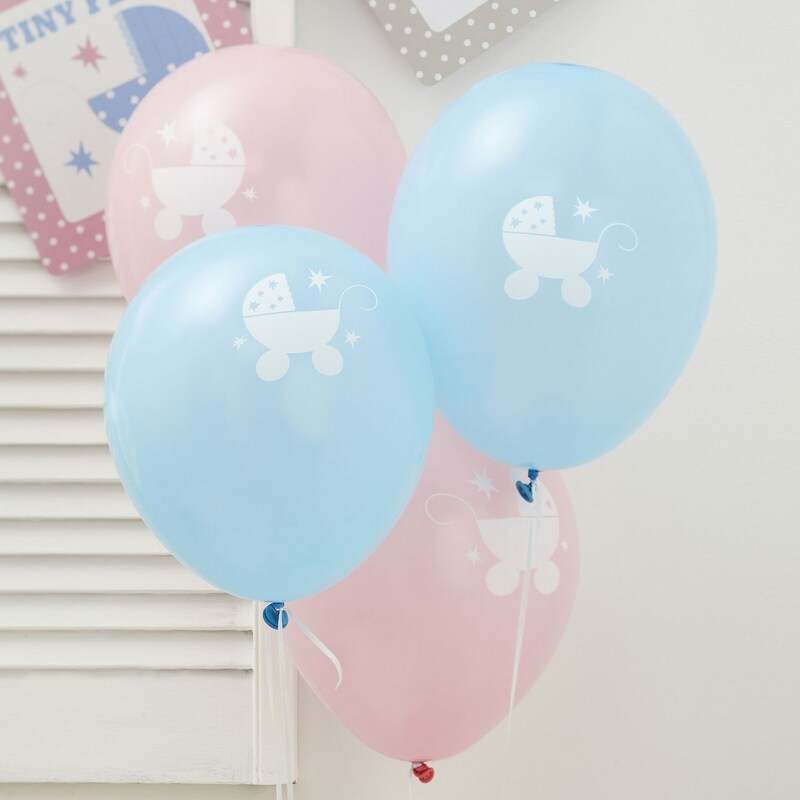 Enhance your christening, naming ceremony or baby shower with Tiny Feet balloons, the perfect addition to your party décor. Each balloon features a simple pram and star illustration. Displayed in clusters, these colourful blue and pink balloons bring a real celebratory feel to your occasion. Pack of 8 pink and blue Balloons.